Transgaming, who made the Mac port of The Path for us, have done a great thing. 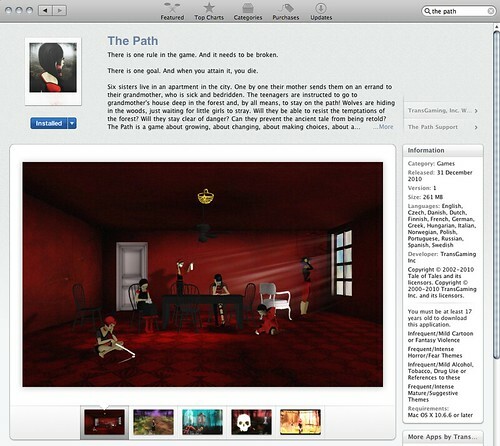 They’ve made sure that The Path is a launch title on the Mac AppStore which launched today! You are currently browsing the The Path ------ development blog weblog archives for the day Thursday, January 6th, 2011.